The power industry is ever-changing – whether through technology, regulations, or market mechanisms. 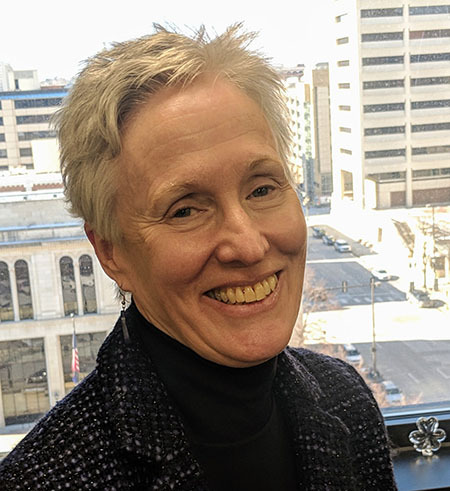 On a recent visit to Omaha, Sue Kelly, President and CEO of the American Public Power Association (APPA), discussed some of the bigger issues facing public power and its customers. APPA is preparing for their Legislative Rally in Washington, D.C. at the end of February. Each year, nearly 600 Association members – policy-makers like city council and utility board members – gather to learn about “hot issues,” Kelly said. “There is talk of doing an infrastructure bill. And the question is, how will that roll out? Will there be any opportunities for us in terms of financing tools? Kelly explained how their work in D.C. benefits the customers of public utilities like OPPD. “We’re going to need to make a lot of new investments in technology,” she said. “For example, smart meters, more distributed generation, more ability to have two-way sensors on our system. That all takes investment. And the question is, at what rate will we be able to borrow to make those investments? APPA is also watching environmental regulations. Another area of focus for the Association, Kelly said, will be wholesale energy markets. 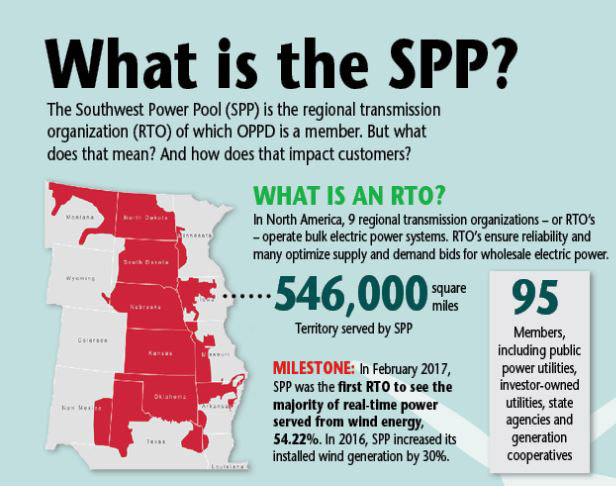 OPPD is part of the Southwest Power Pool (SPP), comprised of a 546,000-square-mile territory in 14 states. SPP members buy and sell wholesale electricity as needed through the Integrated Marketplace, collectively saving about $500 million a year. “Actually, in this region of the country, we think the markets generally work pretty well,” Kelly said. Renewables continue to be a growing portion of utility energy portfolios. “I think one of the things that’s really changing is the technology applicable to renewable energy,” Kelly said. 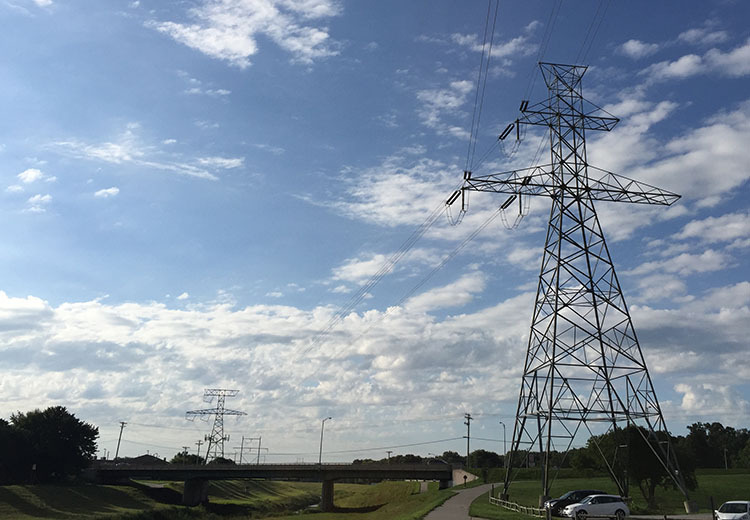 “And we’re seeing a lot more developments at what we call the grid edge. In other words, it’s not central station power, but more distributed generation – a lot of it renewable – at the edge of the grid. Energy storage is another big issue. She said one thing changing is the availability of tax incentives for renewables. Nebraska is the only all public power state. Investor-owned utility Pacific Gas & Electric recently filed for bankruptcy. Rumors about the filing included the utility becoming publicly owned. The association’s job, Kelly said, is to provide information on the business model, how it works for more than 2,000 utilities across the country, and offer to be a resource. Service from public power brings great benefits to customers, Kelly said. “Because we are owned by the customer, we don’t have a separate class of shareholders that we have to satisfy. We can afford to look past the next quarterly earnings call and think about what are the investments that are best for our customers,” she said. “I think we’re well-suited to balance what I call the three-legged stool – reliability, affordability and environmental stewardship. I think we have better abilitiy to balance those things because we’re not constantly under pressure to produce dividends for a separate class of shareholder. Kelly said public power utilities have a big job in today’s rapidly-evolving energy landscape. “We need to sieze this moment and figure out the best way to integrate these new technologies, new sources of power, and new demand-side tools that we can use to reduce our power usage.